Dr. Robert Rout, a native of Kentucky, received a Bachelor of Arts Degree from the Centre College of Kentucky and Doctor of Medicine from the University of Louisville School of Medicine. He completed surgery residency training at the Hospital of the University of Pennsylvania in Philadelphia, Pennsylvania where he served as Chief Resident in his final year of training. In addition, he completed an Addiction Medicine Fellowship under Mark Gold M.D. and Scott Teitelbaum, M.D. at the University of Florida College of Medicine in the Department of Psychiatry, Division of Addiction Medicine in Gainesville, Florida. Dr. Rout served active duty in the US Army Medical Corps at Walter Reed Army Institute of Research and later as Chief of Surgery of the 345th Combat Support Hospital and Staff Surgeon at Dwight D Eisenhower Medical Center at Fort Gordon, Georgia during Operation Desert Shield/Storm. He completed his military service as Colonel in the US Army Reserve while serving as MEDDET Commander, University of Florida and Chief of Surgery of the 301 Army Field hospital in Gainesville, Florida. Dr. Rout is Board Certified in Surgery and Addiction Medicine. He has been a member of the faculties of Johns Hopkins Department of Surgery, University of Florida Departments of Surgery and Psychiatry and Behavioral Sciences, and the Medical College of Georgia Department of Psychiatry and Behavioral Sciences. He has served as the Chief of Surgery of the Malcolm Randall VA Medical Center in Gainesville, Florida. He previously served as the Medical Director at RiverMend Health Center in Augusta, Georgia and Medical Director at Wellspring Camps Florida. 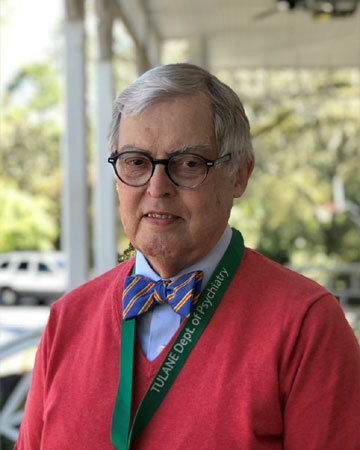 He is presently the Director of the Addiction Medicine Fellowship Program in the Department of Psychiatry and Behavioral Sciences at Tulane University School of Medicine in New Orleans.